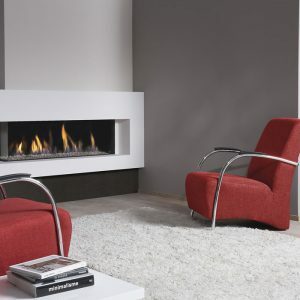 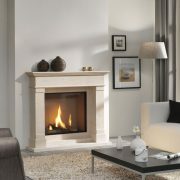 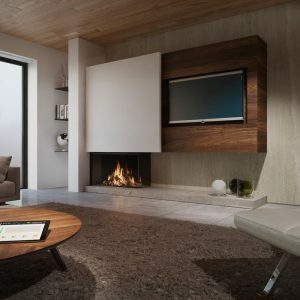 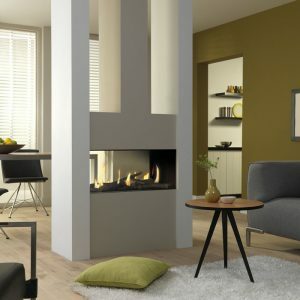 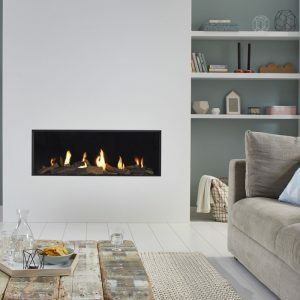 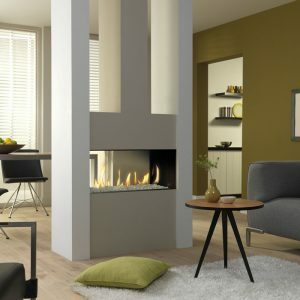 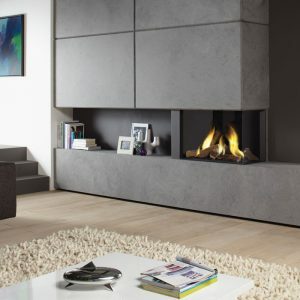 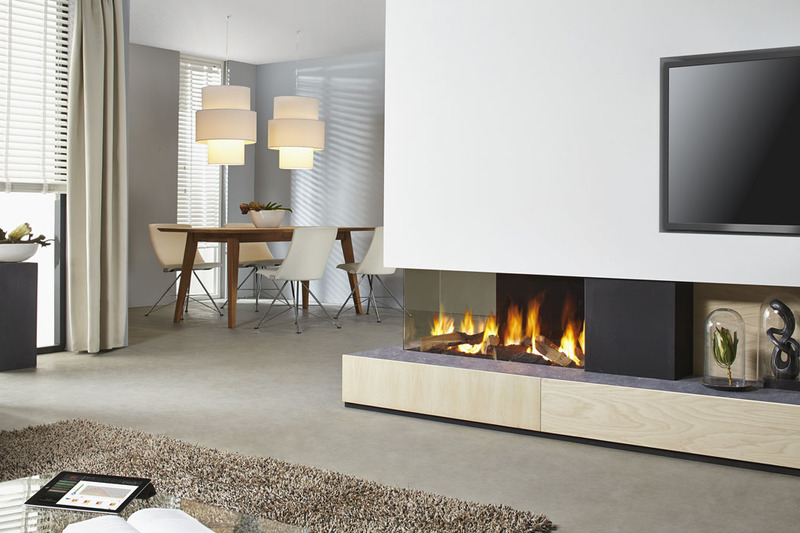 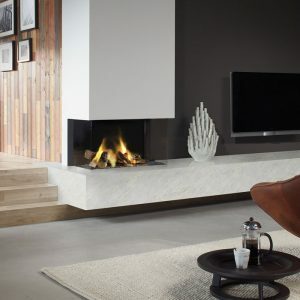 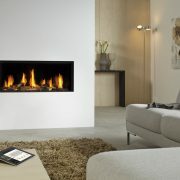 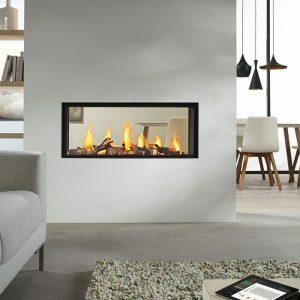 A luxury 3-sided frameless gas fire that is a cross between a tunnel and corner fire. 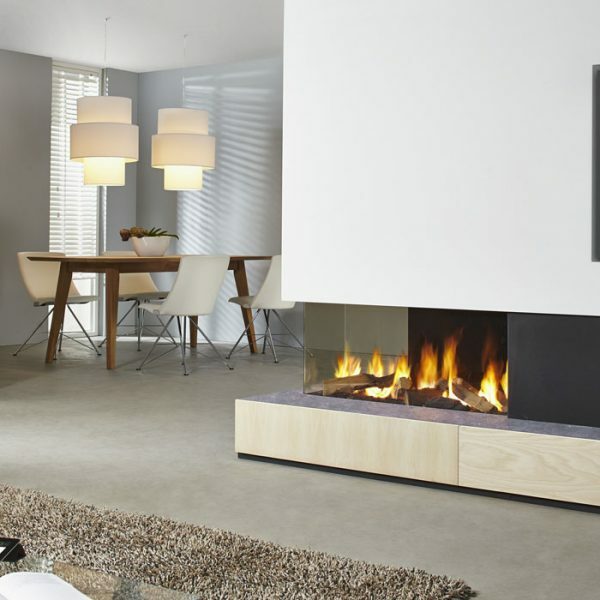 With a choice of log or pebble fire beds, it is designed to be installed into a room divider so it can be viewed from different rooms. 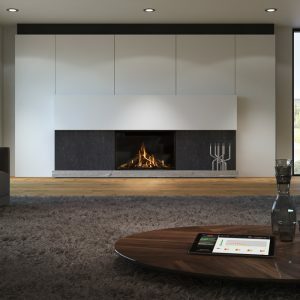 Control of the fire is by remote control, tablet or smartphone via the clever and energy-efficient Eco Wave system.